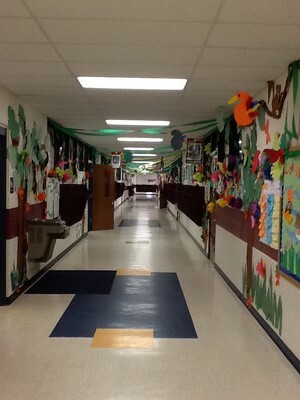 The main entrance to Slinger Elementary. 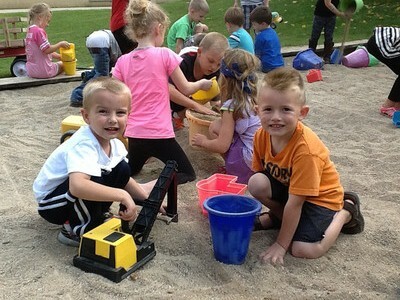 Slinger Elementary welcomes all parents and visitors. For security, our doors are locked. For entrance into our school you must ring the door bell and the secretary will answer and open the door for you. All visitors must "sign-in and out" in the office. You will be given a pass to wear while you are in the building. Students that are dropped off before school and picked up after school, in grades 5K through 5th, will use the main entrance. 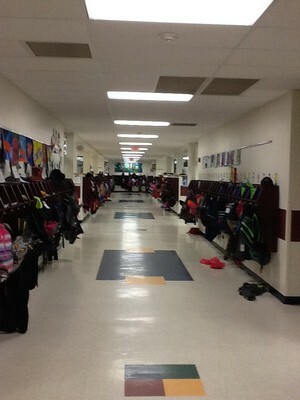 4K students are dropped off and picked up at the 4K entrance. 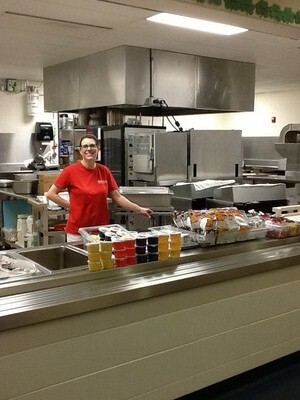 SES has a breakfast and lunch program. We use an electronic debit payment system. 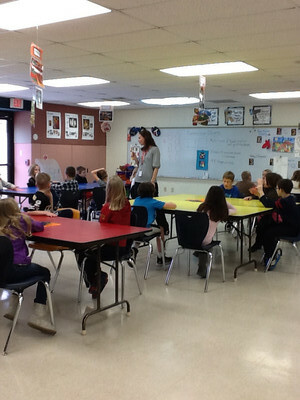 Meet our library aide, Mrs. Hansen. 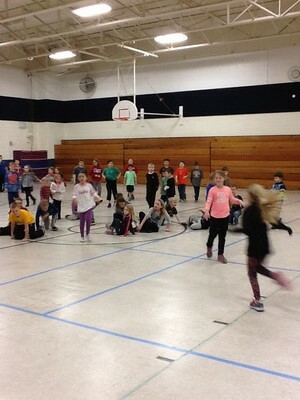 The T-wing has first grade, 5K and 4K. The T-wing from the 5K classrooms. 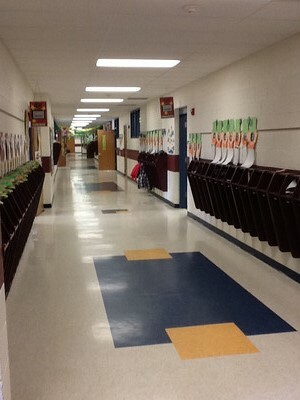 The 2nd and 3rd grade classrooms are on the first floor. 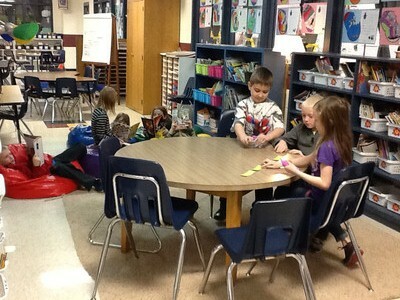 The second and third grade classrooms have break-out areas. 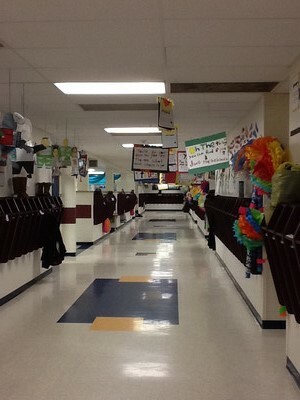 The 4th and 5th grade classrooms are on the second floor. 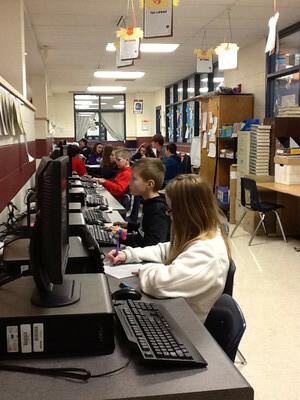 The fourth and fifth grade classrooms have break-out areas. 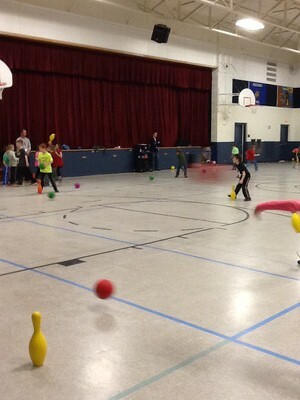 Kool Kids Club, before and after school program, meets in the gym. 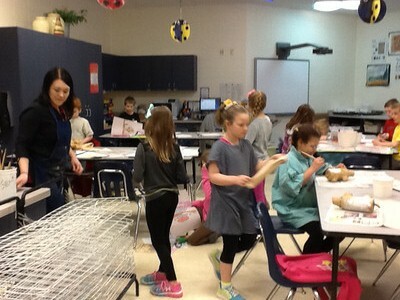 Art at SES is with a full time and a part-time teacher. 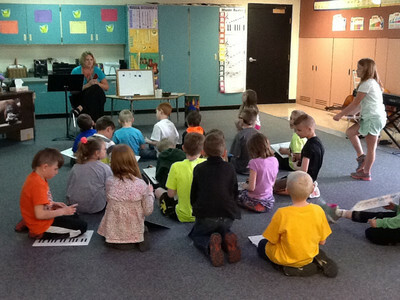 The music department at SES has a full time teacher and a part-time teacher. P.E. 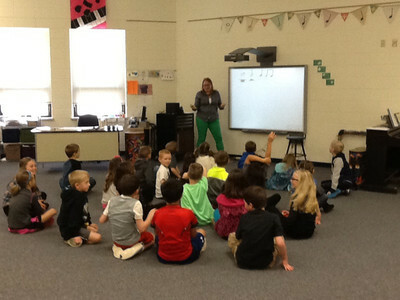 at SES is provided by a full time and a part-time teacher. 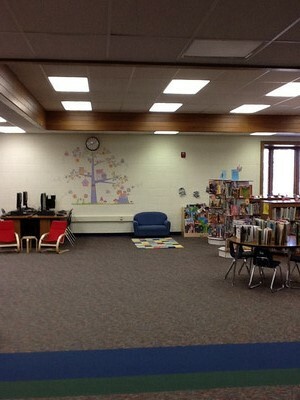 Reading Area in SES Green Space. 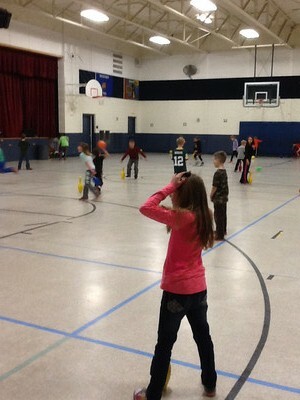 The upper playground for second through fifth grades.